In recognition of his achievements in literature, Hamlin Garland (1860–1940) received four honorary doctorates and a Pulitzer Prize. Keith Newlin traces the rise of this prairie farm boy with a half-formed ambition to write who then skyrocketed into international prominence before he was forty. His life is a story of ironic contradictions: the radical whose early achievement thrust him to the forefront of literary innovation but whose evolutionary aesthetic principles could not themselves adapt to changing conditions; the self-styled “veritist” whose credo demanded that he verify every fact but whose credulity led him to spend a lifetime seeking to verify the existence of spirits. His need for recognition caused him to cultivate rewarding friendships with the leaders of literary culture, yet even when he attained that recognition, it was never enough, and his self-doubt caused him fits of black despair. The first and only other biography of Hamlin Garland was published more than forty years ago; since then, letters, manuscripts, and family memoirs have surfaced to provide, along with changing literary scholarship, a more evaluative and critical interpretation of Garland’s life and times. 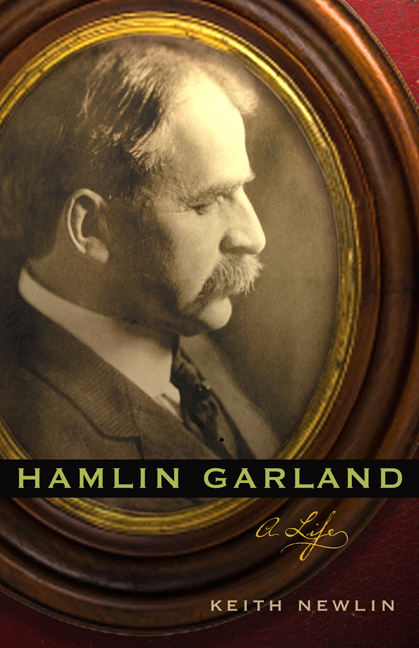 Hamlin Garland: A Life is an exploration of Garland’s contributions to American literary culture and places his work within the artistic context of its time.